Our core competence. 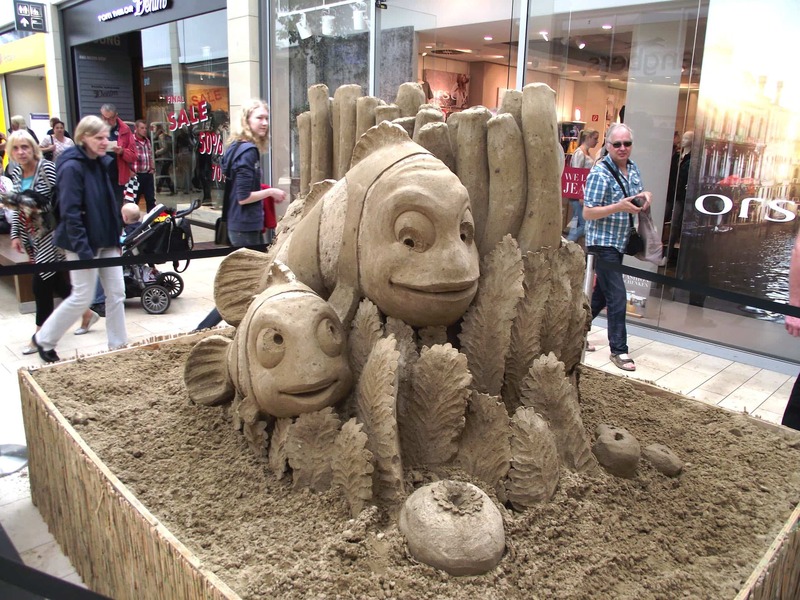 sandcity has established sand sculptures as an event in shopping centres - with great success. Customers love being given the opportunity to, quite literally, look over the artist’s shoulder, as almost no other venue allows them to follow the creation process so closely - a genuine live act. And as our sculptors are always more than willing to answer the many questions, genuine interaction ensues. 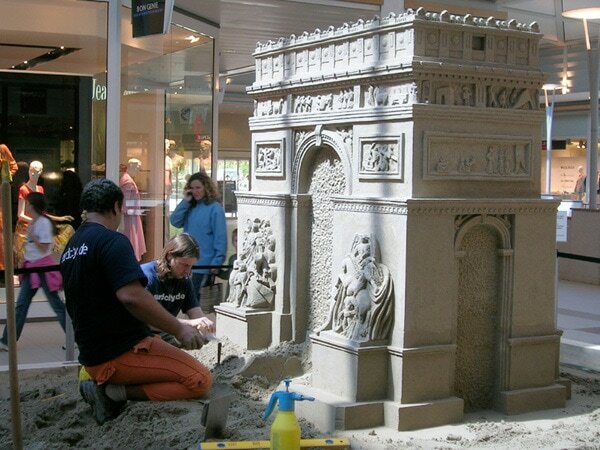 The themes and motifs are wide-ranging. 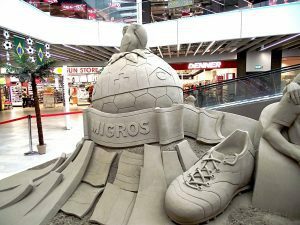 Whether true-to-life replicas of architectural monuments – from your own city or other world sites, whether famous personalities, scenes from cinema films or literature - (almost) everything is possible. Other popular choices are theme-centred presentations: underwater worlds, animals in different habitats, fantasy worlds. 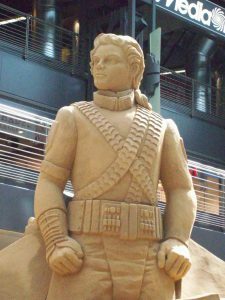 The same diversity is reflected in the dimensions: A single sculpture in the forum, or a series of sculptures scattered throughout the entire mall. Each event is developed individually for you, with your involvement. 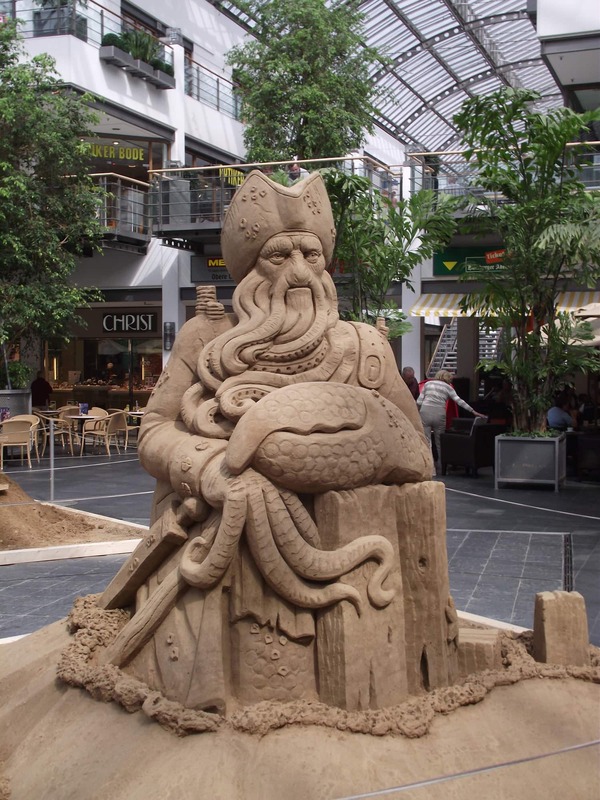 Yes, it’s true: Sand is heavy. But the maximum load-bearing capacity in your mall is just 500 kg/m2? We’re familiar with the problem! 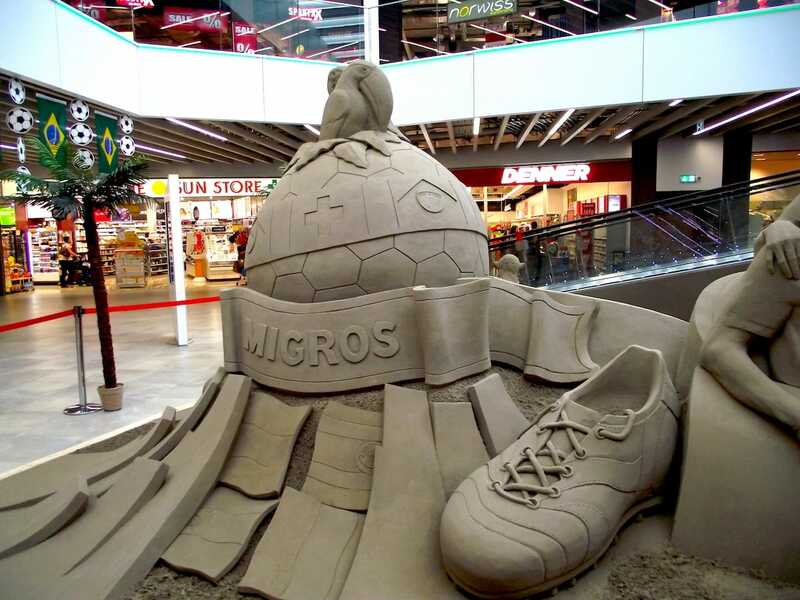 For cases like this, we have developed a special substructure which allows us to cut down on sand volume, and consequently weight, and yet still build sculptures that are taller than humans and ensure the right wow-effect. Examples can be found in the gallery under the tag "Lightweight". We are shopping centre experts: We look after the necessary technical preparations outside of your opening hours, “behind closed doors". 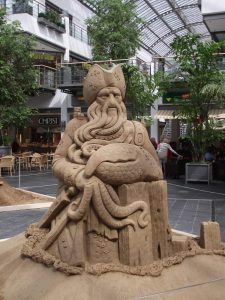 More about how we carry out indoor work can be found under "Execution".